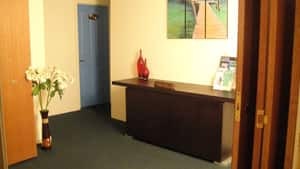 Open since 2008 - with 6 branches across Melbourne - in Port Melbourne, Richmond, Ascot Vale, Albert Park, West Melbourne and Kooyong. 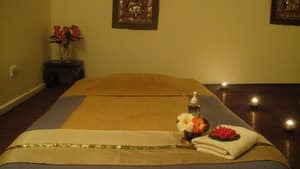 Traditional Thai Massage (deep tissue) - Uses both palm and thumb concentrating on the pressure points of your whole body. The massage includes some stretching, to reduce fatigue and release tight muscles while improving blood circulation, relaxing the muscles and creating an overall feeling of well being. Relaxation Massage - discover our most relaxing massage with refreshing relaxing. Using a combination of strokes and accupressure techniques, this soothing and gentle massage allows the healing properties of these natural oils to penetrate the skin which leave both body and mind feeling completely relaxed. Prompt to get me in. Very nice and relaxing. Was a little soft but probably could have told to go harder. Not a bad choice. Massage was nice, place was a bit small but clean. Staff were a bit disorganised but handy location and fitted me in at short notice. Was expecting a good Thai massage, but service was pretty disorganised. My session finished abruptly and without much notice. If u ever go here make sure u avoid one particular staff. The staff is rude, yelling at me all because I asked the staff to massage me a bit better. 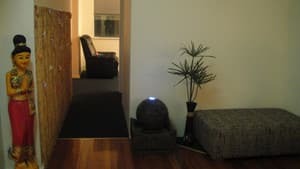 Staff's massage was very weak and staff only did not want to bother to massage better. what a relaxing place to have massage. . you will definitely enjoy their service. . you will fill relaxed and stress free. their staffs are great therapist. . i had a wonderful experienced here. .